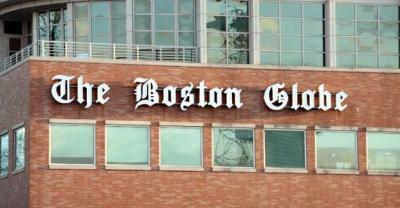 We knew it was coming, but it still stings a bit to say it: The Boston Globe is leaving Dorchester. The newspaper’s CEO, Mike Sheehan, informed his staff last week in a widely circulated memo that the paper’s front office, editorial, business, and sales operations will relocate to new office space in Exchange Place, a high-rise in the city’s Financial District by the end of next year. It’s hard to argue with that logic – unless you happen to disagree with the assumption that downtown Boston is, in fact, the heart of the city. Clearly, the Globe’s future home is in the heart of the Financial District and that’s a vital ventricle, to be sure. But Bostonians understand that the neighborhoods are the lifeblood of this city. As to the implication that Dorchester is somehow a lesser part of the Boston experience? It’s a perspective that is no doubt in currency among the business, media and political elite. But that doesn’t make it correct. It’s a subjective measurement and one that dismisses – incorrectly, we feel – the complex dynamics of the modern Boston. In today’s digital age, the Globe’s newsroom location is less important now than it was in 1958, when scribes from the city’s various broadsheets and tabloids would have to hustle their way to the State House or old City Hall – and back – for press conference and photo opps. In the split-second that a former beat reporter would have spent buying a T token at South Station or Park Street Under for the ride to Columbia (now JFK-UMass) station, correspondents today can file a story or photo from anywhere in the world with swipes of their pinkies. Not to mention the fact that the Globe already has satellite offices in City Hall and at the State House— outposts that have been there for decades. What is innovative about returning to a Newspaper Row that no longer exists? Staying in Dorchester? That would be forward thinking. There’s great irony in the fact that the Globe’s current location is just now blossoming. Columbia Point is in bloom. The University of Massachusetts campus across the street – not even conceived of when the Globe moved in more than a half-century ago – is fast becoming the region’s most important and innovative public institution. We wonder if the Globe would have decamped with the same pep if the 2024 Olympics bid – and its requisite Athletes Village steps from the Globe’s front stoop – had not flamed out so famously. The Henry family ownership is wrong in leaving this neighborhood behind. Planting the Globe in Dorchester was not only smart from a business perspective, but it also helped the newspaper plug into the city’s most diverse and dynamic neighborhood. Its reporters and printers, ad salespeople and drivers populated our bars and restaurants and three-deckers. They played pick-up hoop games at the Boys and Girls Club and whacked tennis balls on the courts at Savin Hill. They came to know a part of Boston that they need to know to understand the way this city hums and sputters and groans. It may make sense in terms of dollars and cents to sell off the Globe’s hulking plant and offices. It will no doubt be great for Dorchester, too, as it’s likely going to give life to a whole new sub-neighborhood within the next decade. But nowhere is it written that selling off 135 Morrissey Boulevard – and realizing a gain on the Henry real estate investment – must equate to the Globe leaving Dorchester. In doing so, this esteemed news organization, which we all care about, will be less plugged into the people and the pulse of this vital Boston community. And that, by definition, means it will be a lesser paper.